Too many steelhead shiver-fests can leave you mumbling incoherently and sporting a thousand-yard stare. Micro Puff products are worth more than their weight (which isn't much) in Bristol Bay gold for core warmth and cold-weather sanity. This high-loft class of products provides such ultralight, compressible warmth, you won’t think twice about throwing it in your pack or vest. Durable, high-quality synthetic insulation traps heat (even when wet), the double-ripstop polyester shell with DWR is windproof a nd resists snow and spitting rain. Micro Puff products are made with recycled polyester content. All styles are offered in M's and W's fits/colors except for the pants (Unisex). Add Micro Puff to your layering system. You won't be disappointed. 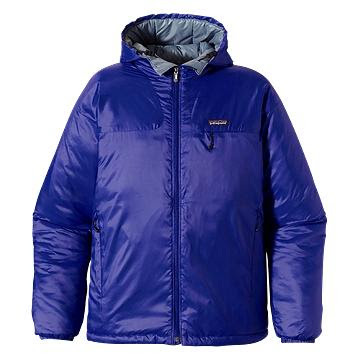 Styles include a jacket, hooded jacket, vest and pants. All fit into their own pocket or stuff sack. PUFF!!!!!!! I have always been a fan of the puff ball coats, and my favorite coat must be close to 15 years old. I still wear it often and its just as good as new. Super products that last for years. 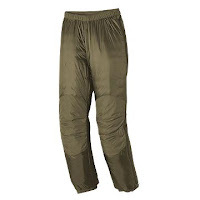 But this year was the first time I wore the puff pants, and I was blown away by the comfort and warmth. With water temps hovering around 35 it doesn't take long for your core body temp to start dropping. Once I started wearing the puff pants, I noticed a big difference in my feet and my middle core. In fact I followed your link and ordered another pair, just in case they ever go away. I am all about layering light fleece and then a puff product over that. Add the new waders and rain jacket and I am pretty much ready for anything. Still some fresh fish around, but I am close to calling it a season up here. Man its been an incredible year if you love swinging flies for wild fish. The origins of the Puff concept began in the Fall of '92 while pursuing "Ph.D fish" on Flat Creek just outside Jackson, WY. 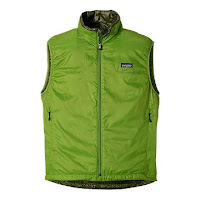 YC and I were bummed with the bulkiness of fleece, especially when storing it in the back of a vest. We came up with the Puffball idea for a jacket, pants and hat, which is now known as Micro Puff. The Puffball concept had broad applications so it ended up in the Alpine line (Pullover initially) when it was introduced. 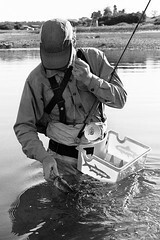 This popular collection of lightweight, compressible insulation owes its success to humble beginnings on fly rod water. Hey that's cool - I've been looking at the Micro Puff stuff (for when a soft shell isn't enough), but had heard so many backapackers love on the stuff I figured it was alpine-only gear. Time to get me one. Let me know if you have any specific questions on Micro Puff Tom. 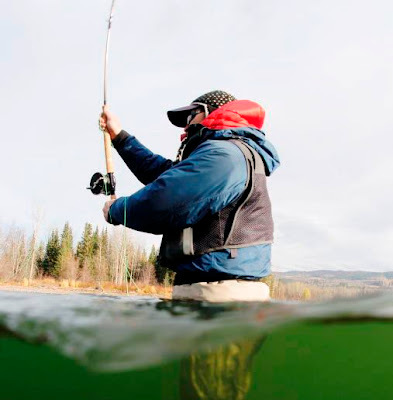 It's benefits are well suited to the angler and alpinist alike.